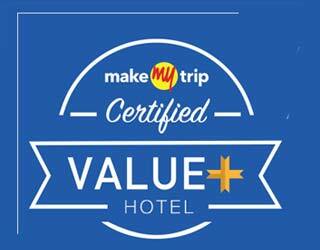 A fortnight after it blocked budget aggregators OYO Rooms and Zo Rooms on its platform, online travel agency MakeMyTrip Ltd has come out with its version of budget hotel rooms, branded 'Value+'. It has already aggregated around 1,000 hotels under Value+. Hotels listed under Value+ will offer AC, satellite TV, free WiFi, free breakfast, with MakeMyTrip promising 'double the money back' if dissatisfied with the services offered. An email sent to MakeMyTrip's spokesperson for further details on Value+ did not immediately elicit a response. Till July this year, the country's top online travel agency had no plans of venturing into the budget hotel aggregation space. "We have no plans to get into property-management or co-branded hotels business at this point. We see more value in working closer with hoteliers and small property owners to build the long-tail, and catalyse the offline-to-online shift for hotel booking in India," Mohit Gupta, COO â€“ online, MakeMyTrip.com had told Techcircle.in. The change in strategy presumably happened after it saw its market share in the hotel bookings space, a high margin category, being eaten up by such startups who typically sit on its platform. MakeMyTrip's hotels and packages business reported 7.3 per cent increase in revenue less service costs (net revenue) to $13.4 million in the quarter ended September 2015. The Nasdaq listed firm reported 3.6 per cent rise in net revenue for the three months ended September 30, 2015 to $33.2 million from $32 million recorded in the corresponding year-ago quarter. Revenue from budget hotel aggregators including OYO and Zo accounts for 2-3 per cent of MakeMyTrip's daily hotel room sales while for the startups, online travel aggregators (OTAs) contribute about 10 per cent of their bookings. In October, travel portals Goibibo and Yatra had also blocked the startups along with MakeMyTrip as the OTAs sought to protect their turf. 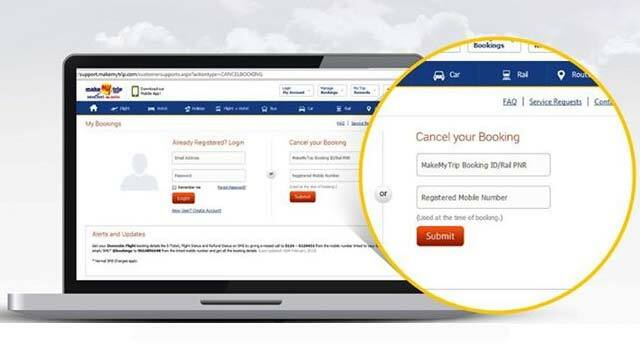 It is likely that other major OTAs will follow MakeMyTrip's entry into the budget hotel aggregation business. Value+ puts MakeMyTrip in direct competition with the likes of OYO Rooms, ZO Rooms, ZiP Rooms, WudStay and others who are trying to disrupt the highly fragmented market for the no-frills budget hotel business with their own version of alternative accommodation. Anchored on an asset-light business model, these startups are essentially aggregating standalone budget hotels, strapping them with a common brand with a promise to the consumer to offer a standardised set of amenities similar to a conventional budget hotel chain. On the other hand, large OTAs such as Make MyTrip, Yatra, Goibibo and Cleartrip simply list hotels of all categories. Naspers-owned Goibibo floated its own version of the budget hotel aggregation business recently under goStays, a standardised budget accommodation starting at Rs 999 per day (with free breakfast) at multiple Indian cities. Yatra.com recently rolled out TG Rooms and TG Stays with a starting price of Rs 499 in over 60 cities. Budget hotel aggregators are generating tremendous interest among investors. This month, budget hotel aggregator Deyor Rooms raised $500,000 in angel funding from Redcliffe Capital's Dheeraj Jain and other unnamed investors. In October, home-stay accommodation listing platform MyIndianStay secured $200,000 in angel funding from institutional investors. Hotels aggregator QiK Rooms Pvt Ltd, which operates under the QiK Stay brand, secured seed funding of $250,000 from venture capital firm I.D. Enablers Pvt Ltd in August. OYO Rooms had raised $100 million (Rs 635 crore) in a fresh round of funding in August this year, led by Japanese tech conglomerate SoftBank. Existing investors Sequoia Capital India, Lightspeed Venture Partners and Greenoaks Capital also put money in this round. OYO caters to over 15,000 rooms in 90 cities and with its latest round of fundraising, the company is gunning for 50,000 rooms across 100 cities by the current year end. Zo Rooms raised a Series A round led by Tiger Global with participation from Orios Venture Partners in July. Over the last six months, Zo Rooms has expanded to 50 cities with close to 1000 hotels across the country. It plans to add five hotels daily, expand to two new cities every week and have 2,000 hotels in 60 cities by December this year. Zo Rooms and OYO Rooms are said to be preparing for another big round of funding. In July, WudStay raised $3 million in Series A funding from venture capital firm Mangrove Capital Partners and Nimbuzz CEO Vikas Saxena. Before that, Bangalore-based Treebo Hotels raised $6 million co-led by Matrix Partners India and SAIF Partners.